"I do not recall Barak having any dramatic successes," says Likud MK after former PM criticizes defense aid agreement. 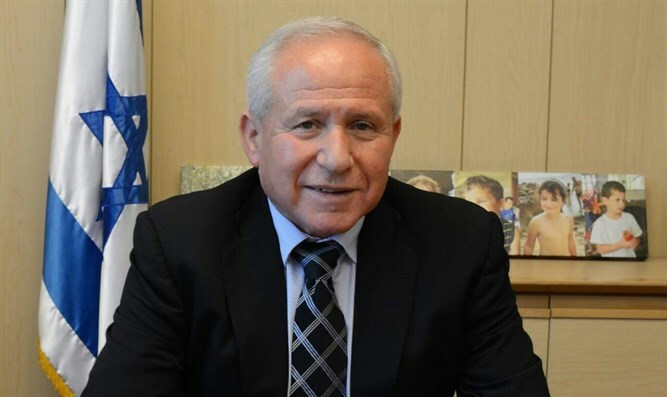 MK Avi Dichter (Likud), chairman of the Knesset's Foreign Affairs and Defense Committee, responded on Thursday evening to criticism by former Prime Minister and Defense Minister Ehud Barak of the defense aid agreement between the United States and Israel. In an op-ed in the Washington Post, Barak had slammed Prime Minister Binyamin Netanyahu, claiming that the agreement is indicative of the level of mistrust between Netanyahu and the American administration. Referring to Barak's criticism of the deal, Dichter added, “Everyone believes that he can achieve a greater amount in the negotiations with the United States. This issue is entrusted in the hands of the Prime Minister. Everyone was hoping that the amount would be higher, but in the end Netanyahu maximized the aid to the highest point he thought possible. “The Prime Minister decided that the agreement would be signed during the term of the current President. The responsibility rests on his shoulders and he did it in the best possible way,” he stressed. Dichter added that “anyone who thinks he can do a better job, let him run for office and hold negotiations. Incidentally, former Prime Minister Barak held a series of negotiations that were perhaps even more serious than the defense aid. “I do not recall that he had any dramatic successes on this issue, on the Palestinian issue or the Russian issue. I suppose that Netanyahu could have done a better job on these issues (which Barak dealt with) but he was not in charge of these things at the time,” said Dichter.